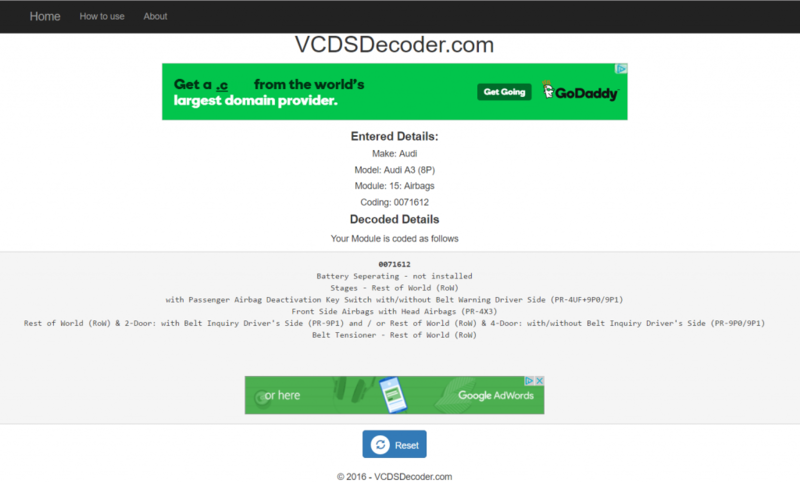 Ever wondered what your car is coded for? 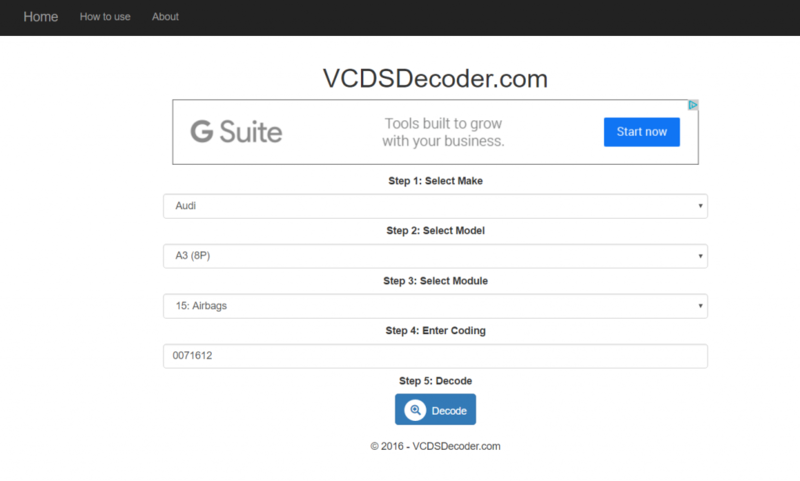 Well using the VCDSDecoder tool you can discover what your car is coded to simply by selecting the right model and entering the coding. More models and modules will be added soon, so check back!